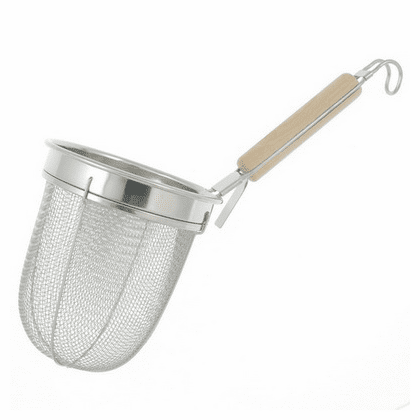 Wooden handle, Stainless Steel mesh strainer. Can hung rim to the cooking pot. 5-1/2 diameter, 6-1/4 inches long basket, 4-3/4 inches long wood handle, 14-1/2 long.